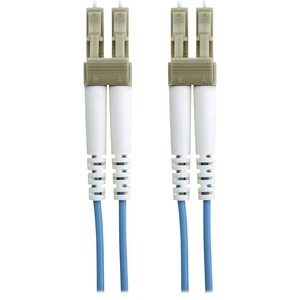 Belkins 10Gb Aqua fiber optic cables are backward compatible with existing network equipment and provide close to three times the bandwidth of traditional 62.5/125 multimode fibers. 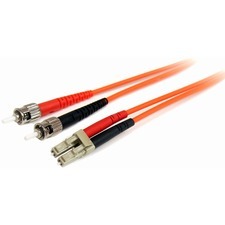 10 Gigabit is rated for distances up to 300 meters using 850nm Vertical Cavity Surface Emitting Lasers. 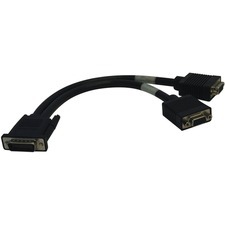 This fiber patch cable measures 10'.